Riesling was born in the Rhine region of Germany. It has slowly made its way across the borders to France, Luxembourg, Austria and Italy before going throughout the world. Riesling a wonderfully aromatic grape variety.. a true delight on the nose. The typical nose will be fruity with notes of peach, lime, apple and pear. Floral aroma of jasmine is also very common as is honey. Then, there is an aroma that often surprises people when they hear about it and that is petrol or petroleum wax..
On the palate, dry Riesling is going to have a rather high acidity, and low levels of sweetness.. But the taste is always rather intense. Riesling from warmer climates are going to be a bit more full so a slightly lower acidity and a higher level of sweetness. There then are medium sweet Rieslings and sweet Rieslings. The dry Rieslings are great with a lot of the dishes from India, Thailand and some Chinese cuisine. 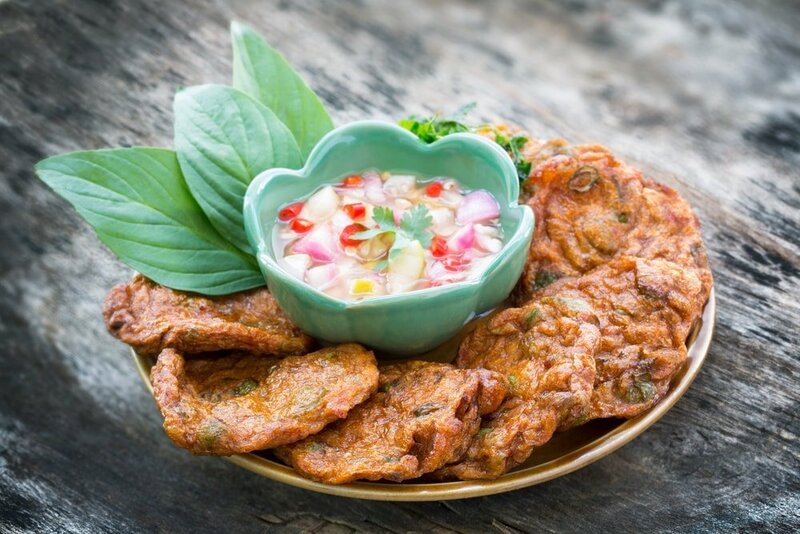 This because these dishes are also very aromatic and combine many spices.. However if the dish is spicy as in hot, or creamy, you’ll need to go for Rieslings from warmer climates and even sweet Rieslings. Riesling is also a magnificient wine to enjoy with cheese. Espcecially the stronger tasting and smelling washed rind cheeses . Where are the best regions for Riesling? Germany of course is the heartland of Riesling.. So I definitely you try German Rieslings. Wines from the Mosel region, the Rheingau and Nahe regions are definitely must try. Now, what’s important to know here is that the wines are classified by sweetness. If you’re looking for dry Riesling you need to go for Trocken… the mention will be on the label. 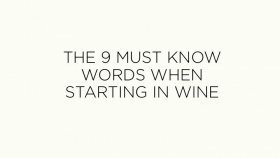 If you see the mention of Auslese, Beerenauslese, Trockenbeerenauslese or Eiswein… then the wine’s going to be sweet. Halbtrocken and Feinherb will both be medium sweet. 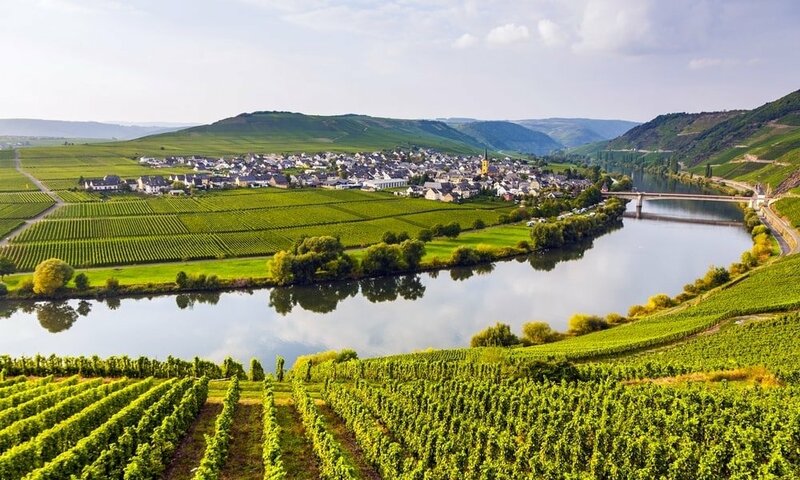 Luxembourg, on its German border also has some great Riesling vineyards along the Mosel river. Alsace, in North East France is famous for absolutely fantastic Rieslings too, as does Austria. Then I would definitely recommend you try Riesling from the Clare Valley and the Eden Valley in Australia. They’re very different to European Rieslings, but you absolutely need to try.. there are some real beauties. If you enjoy dry Rieslings, you probably love the aromatic style, the dryness… And I think you’ll also love Torrontes… a wonderfully aromatic and charming wine from Argentina. So do go out and try a Torrontes from the Salta region of Argentina. If you enjoy the fuller rounder Rieslings, I would recommend you give Gewurztraminer a go. Choose wines from Germany or Alsace.. In the Rheingau, Schloss Johannisberg and Robert Weil and Josef Leitz are all brilliant. In the Mosel region, we have the revered Joh Jos Prum, but many other stunning producers, such as Selbach-Oster, Ernest Loosen, Joh. Jos. Christoffel Erben, but also many others. Then in Alsace you should definitely look up Trimbach but Schlumberger, Josmeyer, Blanck, Zind-Humbrecht and Hugel are all great producers. Particularly notable Riesling sites include Egon Müller Scharzhofberg in the Mosel; Robert Weil Kiedricher Gräfenberg in the Rheingau; Emrich Schönleber Halenberg in the Nahe and hundreds more; Trimbach Clos Ste Hune in Alsace; F X Pichler Dürnsteiner Kellerberg in Austria’s Wachau; Jeffrey Grosset Polish Hill in Australia’s Clare Valley.